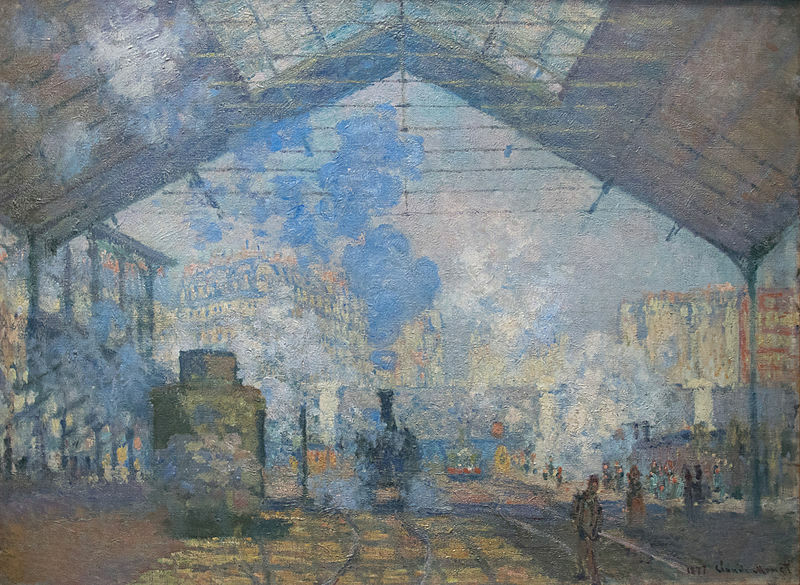 Impressionism, the 19th century movement that revolutionised the history of art, gave a platform to many artists who sought to challenge the conventional methods and techniques of the time. 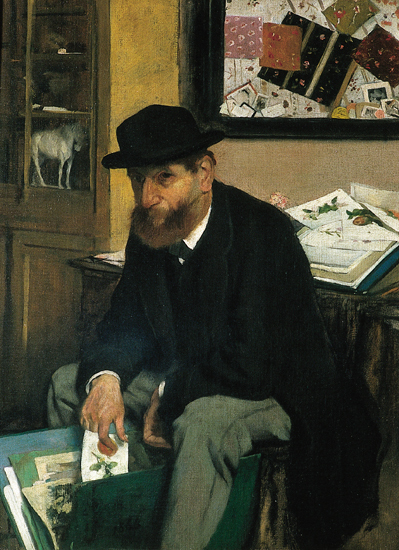 Although Édouard Manet wasn’t an Impressionist himself, he did bring about an emancipation of sorts for many artists whose creative endeavours were stymied through a subjugation to antiquated and traditional standards. As Manet liked to say of his style, he “paints what he sees, not what others like to see.” KAZoART invites you to discover the 5 must-knows about the illustrious movement of Impressionism. The term “Impressionism” originated from an article written in 1874 by Louis Leroy entitled The Impressionists’ Exhibition. In the article, he talks about a visit to the workshop of a photographer named Nadar. 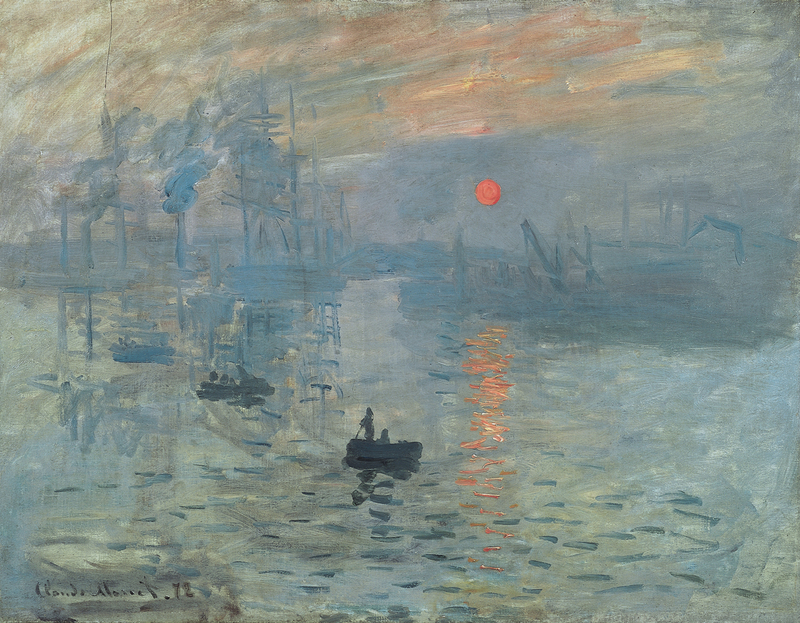 In Nadar’s atelier, he sees Claude Monet’s painting Impression, Sunrise (1872). Leroy writes, “What does this painting represent? Impression, I was certain of it. 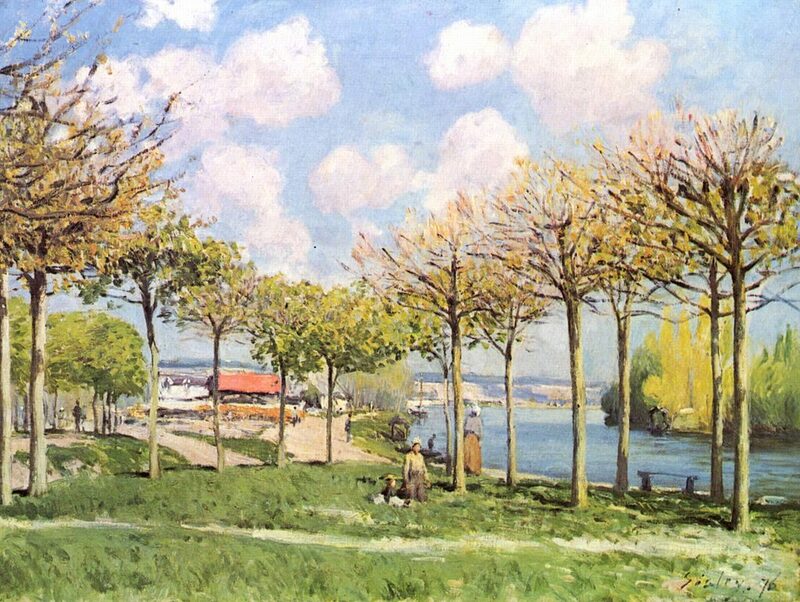 I was just telling myself that since I was impressed, there had to be some impression in it.” Thus the definition was born and used in future exhibitions by Claude Monet, amongst other notable figures in this movement. Impressionist artists were not met with immediate success. We know this to be true because their works were rarely displayed in the Official Showroom of Painting and Sculpture which was designed to serve as an avenue into the art market for artists that wanted to grow in notoriety. They were reproached by the jury for using a technique that wasn’t in keeping with the scholarly standards of the time and for ambitiously depicting modern subjects that were deemed unworthy of representation. But young artists such as Pierre Auguste Renoir, Camille Pissarro, Edgar Degas and Eugène Boudin wouldn’t let their work be so easily disregarded. They decided to form an anonymous society that organised Impressionist expositions in spite of the persistent criticism they were receiving. 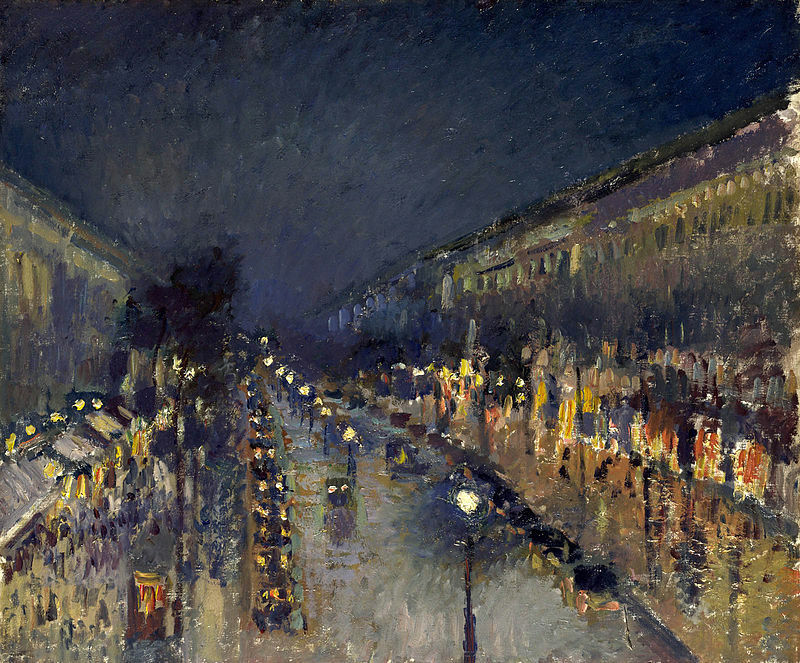 Although they were mostly disparaged by art critics, the Impressionist movement quickly garnered a following in certain cultured and intellectual circles. The unfinished aspect and the somewhat rough texture of Impressionist art served as a means of revealing the artist’s perception within each composition. Juxtaposing strokes of colour, Impressionists were heavily influenced by Japanese prints which are characterised by authentic tones and simplified patterns. In their own way, these artists revolutionised the method in which we paint and perceive reality. 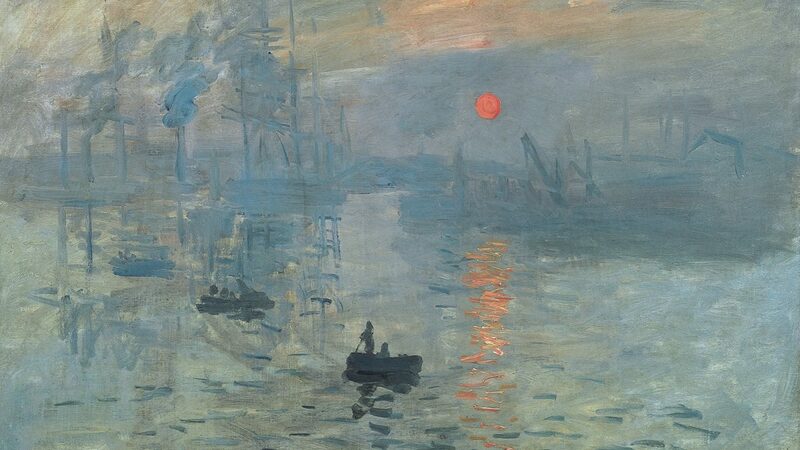 Inevitably, Impressionism made its mark in history by breaking free of the conventions and etiquette of the day. Impressionist painters were quite fond of the landscape genre. Artists began leaving their studios and started to work outdoors, “en plein air”. They painted scenes of every day life, while focusing on the effect that light can have on their subjects. Their aim was to create art that accurately portrayed their point of view without the interference of personal sentiment. Marine and aquatic scenes, such as seascapes on the beaches of Normandy or on the banks of the Seine were also very popular. Of course, one must also mention Monet’s study of light at different times during the day in his series featuring the Cathedral of Rouen.